A recently broadcast BBC television programme, The Battle to Beat Polio, features historical footage from a Wellcome Library film. The film in question is The Both Mechanical Respirator, 1939 and it has an interesting story of its own. Polio or poliomyelitis is a virus, which in its severest form can cause paralysis and death. Most children in the world are immunised against the disease by a vaccine which for a long time was dispensed on a sugar lump. These days immunisation in the UK is carried out as part of a schedule of combined immunisations from 2 months old onwards. One of the greatest difficulties of treating polio before a successful vaccine was developed in the late 1950s was tackling paralysis and the problem of creating artificial respiration. The Both Mechanical Respirator film was donated to the library by the Nuffield Department of Anaesthetics in Oxford alongside a collection of experimental and training films on anaesthesia. The Both film comprises of a complete overview of the use of the iron lung for the patient’s comfort and then its on-going maintenance. Firstly it is shown in detail being plugged in and a rubber membrane fitted. A female patient is placed in the machine by medical staff. Her head is inserted through the membrane and her neck is lubricated with lanolin (to prevent chaffing). The patient is fed and groomed. Luckily, this patient is only partially paralysed, which means that the machine can be unhinged, then adjusted so that she can be bathed and given an enema. The same patient is shown as if she was completely paralysed with respiration being performed by the Oxford inflator. 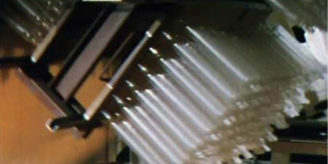 The second part of the film gives instructions as to what to do if the (electricity) current supply fails; there is a manual pump mechanism which is demonstrated. Other ways of managing repairs are shown – such as repairs to the rubber bellows. The Both respirator was invented by an Australian engineer, E. T. Both. Lord Nuffield became involved in manufacturing the machines when he discovered there were only 5 machines available in the whole country and using his influence ordered 5000 machines to be made. Both iron lungs went on to be manufactured by Lord Nuffield in England from the late 1930s onwards and then were distributed all over the British Empire, including Australia. There is a very flattering filmed biography of his life in the collection, Wheels of fortune: The story of Lord Nuffield, 1963 with much of the information regarding the origins of the Both respirator coming from this film. The film was made by C. L. G. Pratt (Lucan), 1906-2009, who was an eminent physiologist best known for his work on the chemistry of digestion and anaesthesia. He submitted expert medical evidence relating to the Thetis submarine disaster which was sunk during trials in 1939 with the loss of 99 lives. He was then appointed to the Royal Navy Physiological Laboratory at Alverstoke as medical officer and later received an OBE for his work. As part of the preparations for the Normandy Landings in 1944, he conducted experiments relating to the effect of underwater explosions at close range and developed a special jacket for use by frogmen. Further information about Pratt’s wartime exploits are outlined in his obituary. 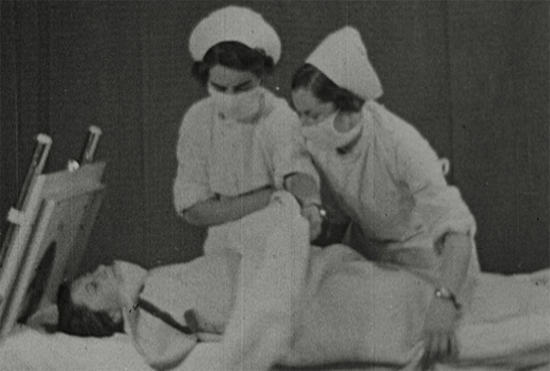 To get an understanding of what Pratt’s tests may have entailed, another physiologist and specialist in anaesthesia represented in the Library collection, E. A. Pask (RAF Mae West, 194-, this film was also donated by Nuffield), filmed experiments on anaesthetised subjects in a swimming pool under controlled conditions wearing a variety of lifejackets. The results relate to life and death decisions regarding the choice of which lifejacket to kit the armed forces with (and whether, as happened in the early stages of the war, you drowned by wearing a poorly designed life vest). The Battle to Beat Polio is available on the BBC iplayer until 24 May 2014. Exit Polio, 1961 (c/o BFI National Archive). Development and manufacturing of the sugar lump vaccine. The Sugar Lump Vaccine, 1961.The campaign by the Medical Officer of Health for Kingston-Upon-Hull to immunise the community after an outbreak of polio. His Fighting Chance, 1946 (c/o BFI National Archive). 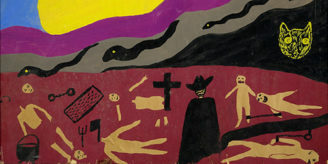 The Both Mechanical Respirator has also been posted online elsewhere with a new soundtrack by ‘The Boy From Vermont’. Author: Angela Saward is curator of the Moving Image and Sound Collection at the Wellcome Library.